CAMHS staff Sam Shrubsole’s daughter Anya Shrubsole awarded an MBE for services to cricket. Our Wiltshire CAMHS Service Manager, Sam Shrubsole, has an extra reason for celebrating at the start of the new year: her daughter Anya Shrubsole has been awarded an MBE in the New Year Honours list, for services to cricket. 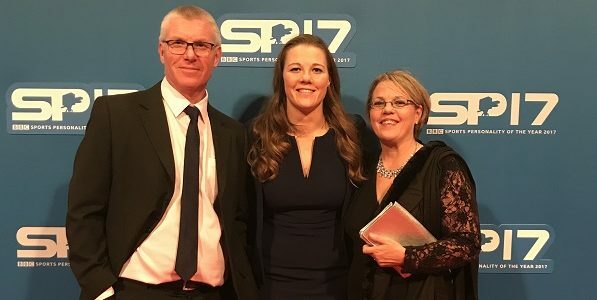 Earlier this year, Anya also was in the final twelve shortlist for Sports Personality of the Year: she is pictured above at the awards, together with her proud parents. Reflecting on her latest honour, Anya Shrubsole told the BBC: “It’s pretty surreal – it’s not something I ever thought would happen at any point since I started playing cricket.